Why so serious? Well, this is some seriously interesting news. According to The Hollywood Reporter, Warner Bros. has tapped The Hangover and The Hangover Part II producer and director Todd Phillips to co-write an origin film for the iconic Batman villain, the Joker. Phillips will pen the script alongside Scott Silver, the scribe behind the Eminem flick 8 Mile and 2010's The Fighter. The outlet indicates that Phillips may helm the upcoming film, but there hasn't been an official directing announcement at the time of writing. 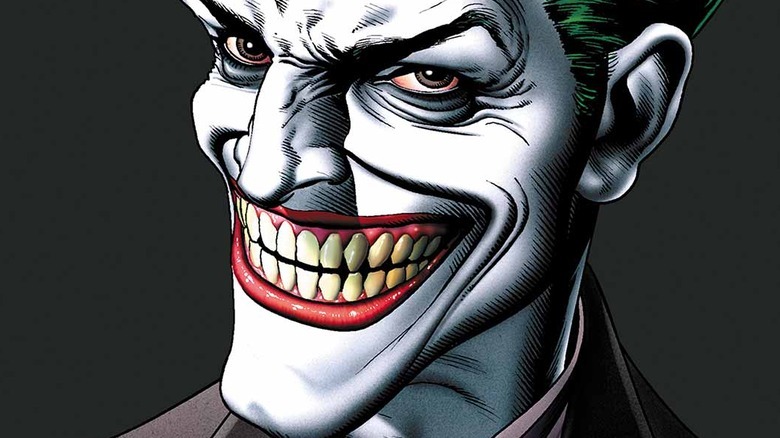 The project will, of course, center around the famous wide-smiled antagonist and is intended to be included in Warner Bros. blossoming label for DC Entertainment properties. Anticipated to feature pics that stand out from the projects under larger production tentpoles, the developing film world will be separate from the existing DC Cinematic Universe. This means that because the Joker is a part of the Suicide Squad movie series and is played by Jared Leto in that arena, another actor will star in the Joker origin movie that's in development. There hasn't been any word yet on who exactly might fill the role this time around. Additionally, the movie will be made under a different budget category. The label as a whole will grant Warner Bros. freedom to create more DC-centric projects without being held back by casting constraints or continuity issues. Reports are circulating that noted filmmaker Martin Scorsese is attached to produce the Joker origin flick, but sources close to THR indicate that "his involvement is far from assured." As with Phillips' status as potential director, it seems Scorsese's as producer is also up in the air. Phillips is best known for penning and helming the ribald comedy franchise The Hangover, but his most recent work was as writer, director, and producer of the Miles Teller and Jonah Hill-led crime comedy-drama War Dogs. He also worked as a producer on the Bradley Cooper and Lady Gaga movie A Star Is Born. As we wait to learn more about the Joker origin film, find out how the character became so sick and twisted in the first place.